Classes for all – from absolute beginners to the more experienced sewer. If you’re looking to learn new skills or expand existing ones we have the class for you. We offer a varied timetable of sewing and pattern cutting classes at our cosy and professionally equipped Brighton studio. Class sizes are small, relaxed and, if necessary, can be adapted to suit particular needs. 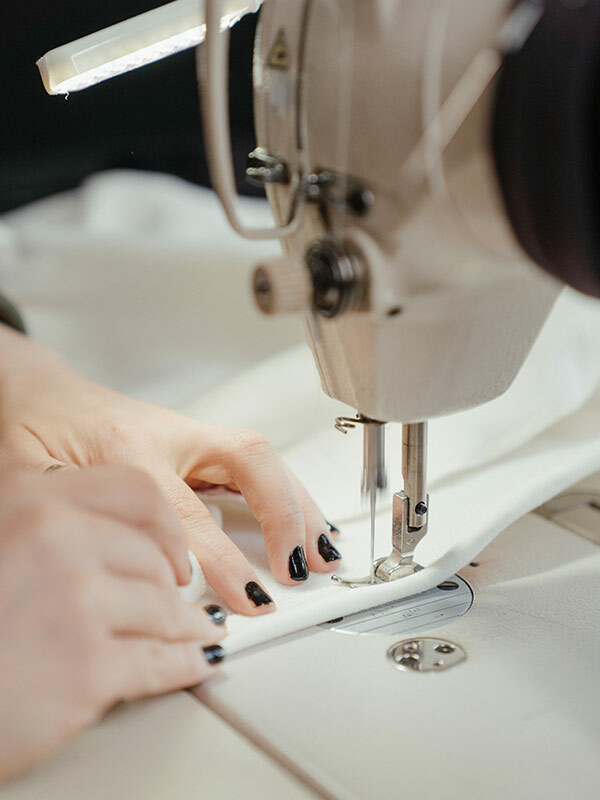 In the studio you will find large cutting tables, Janome Sewist machines, Overlockers, an industrial straight stitch machine as well as all the other tools and equipment you will need. We also have a great little library of books and sewing patterns. We hold children’s and teen’s classes after school. If the start date has passed for the class you are interested in, it may still be possible to join. Please contact us before a booking a place. The perfect starting point if you are new to sewing, or need to regain your confidence. A comprehensive two and a half hour session during which you will learn all the basics you need to begin your sewing journey. Available on Wednesday mornings 10-12 – £20/£17.50 a session. Discount for block booking. Flexible learning environment suitable for beginners or those with basic sewing skills. Follow our structured lesson plans or work on an independent project. If you are a creative teen interested in fashion and textiles you’ll love our after school sewing club. Regular weekly classes focus on fashion. Explore and expand your creativity. After school sewing and textile sessions for ages 8 to 11. Weekly textiles and sewing after school classes for primary school aged children aged 8-11. A creative and fun class where the children learn to explore their creativity, while learning new skills. Weekly low cost drop in sewing session. Come and use our studio space and equipment, gain help with projects and meet like minded people. Everybody is welcome at Sew Fabulous. This is an open session which means it’s not pre bookable to make it easy for people to attend, even at the last minute. Bring your projects and materials with you. We can also help you to choose projects and we have a great little library for inspiration. Only £5 per person. Please bring cash. Take your sewing to the next level with our pattern cutting class. Design and make patterns to fit your own unique measurements and body shape. We offer tuition by the hour tailored specifically to you.